I am trying the 'Daily Animal Doodles' project that Andrea at Paper Sparrow has started. It's barely June 1st and I already started… I guess I have to confess that I drew this on May 31st! Of all the bears, I chose the black bear because it is my local Florida bear. 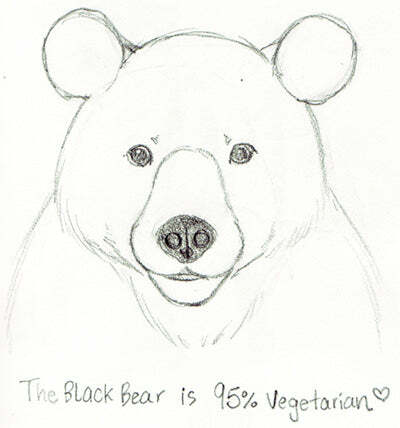 I looked in my DK Animal book (The Definitive Visual Guide) and learned that the black bear is 95% vegetarian. Pretty cool!